“Took 5th in the sprint on Saturday riding a RIDO ! “Hi, had a couple of rides so far and I’m liking the RLt. When I’m on the back of the saddle, it’s great, no perineum pressure. However, and this happens with all saddles I’ve tried, my pelvis seems to rotate forward and I end up starting to get perineum pressure. I find I’ve constantly got to push myself to the back. I don’t believe its reach related as I’m comfortable otherwise. Any pointers on how to tweak the saddle to prevent me rolling forward?? I set off with the nose level and I’ve not git it ever so slightly nose up, which seems better. The seat clamp is just forward of the middle. 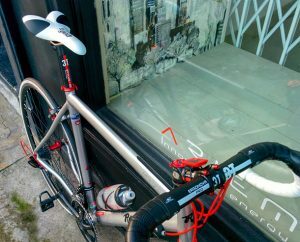 “Hi Lee, sounds like you’d benefit from shifting the saddle forward a bit, best facilitated by a seat post with an offset at the top because the clamp must always remain within the MIN-MAX scale on the rails. 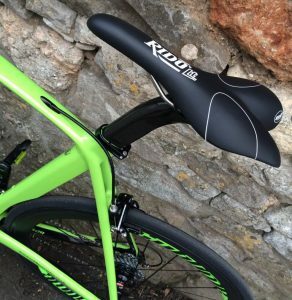 For whilst slight vertical adjustments of the nose up or down will determine how much of the nose you’ll feel or not, the horizontal adjustment can make a lot of difference with regards to how you perch on those raised radiussed padded areas. Too far back and you might feel like you’re falling forwards onto the handle bars. Slide the saddle forward, however, and your sit bones will begin to naturally rest a fraction behind the top of the raised curvature, you’ll have better location on the saddle and you’ll free up perineal and sub-tailbone pressure. “Well I’ve got room on the rails to move the saddle forward, so I’ll try it as a see how that feels. “I done a fair few miles on this now and I think it is going to be good. I’ve commuted on my SQlab 611 today and it just does not take the weight of the perineum the way the RLt does. @RIDOcycling saddle #Fast #Comfy got me round the #SouthDownsSpring on @CycleDivision Cero AR30’s. 300km in the last 4 days, I could kiss you but I know who’s been farting on it for the last 7 hours! “I have always had issues with saddles. Probably because I am what some people would call big boned, rotund or ample. At 235lbs I have a little more sitting on the same sized neither parts as most 150lb guys and that has a tendency to shut off the naughty bits. Not too fun. 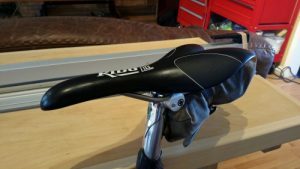 So I am always hunting for a better saddle. 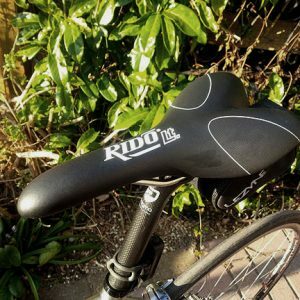 I tried this Rido LT from the Rido company in England. I paid full pop for it. (No industry dealios). They make recreational saddles along with this go faster model. The first rides were weird as hell. The rolled back section is a bit hard to get used to. Over a week or so I settled in and now I have had very little of the PN (penile numbness). Actually it works for me far better than an old skool Brooks as well. Brooks work well when riding casually but when you are humpin’ it in the drops, back flat the drop nose of this saddle keeps the PN away. For me, this is my current favorite road saddle. A little known company that sells saddles for less than the majors. I just thought it worth a shout out. “Absolutely brilliant!!! Finally a Saddle that truly does what the adverts says!!! After trying about 5 diff saddles, most of them big price tag ones (with) numbness in my bottom and pain while riding, I got this Gem!! I was skeptic cant deny but after the first ride I noticed this strange feeling called comfort ( yeah nothing of that with other saddles) my points of pressure are diff my bottom felt in love again with cycling. “Googled ‘testical pain on road bike etc’, went to various bike review sites, and rido was rated high on lists. 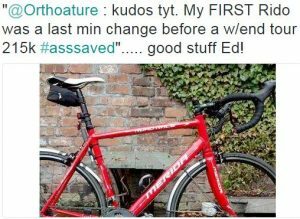 “I am very pleased with the saddle, it has proved faultless on my last 100 m ile night time century ride on my single speed. “Hi, just a quick note to thank you for the RLt saddle I recently purchased from you. I have now done about 80k on it with no discomfort at all. 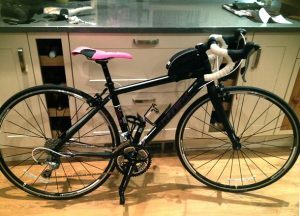 Brilliant saddle – so much better than the previous 8 saddles I have tried! 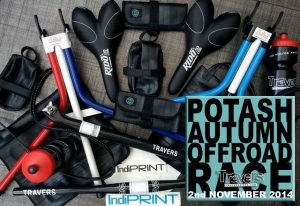 “Good results so far, although I have not used the seat much past the 20 mile ride. My unbearable soreness on the previous seats really did not occur until 30 mile plus. I feel a different dynamic occurring with this seat.